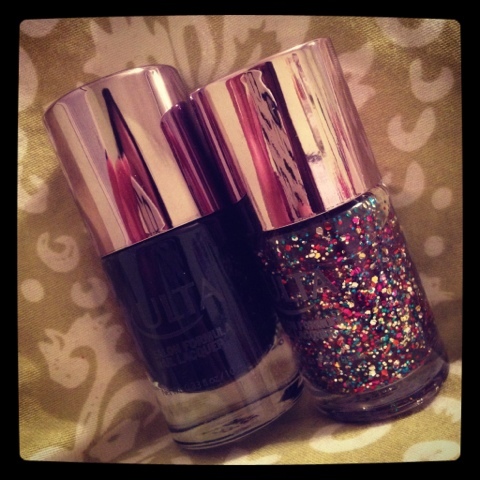 Ulta "Wild Night" and three coats of Ulta "Piñata-Yada-Yada"
This reminds me of Kate Spade for some reason -I could've sworn I saw something like it in an email or something. Simple yet glamorous. Anyways, have a fabulous Wednesday. Very pretty! :) I love rainbow glitter. 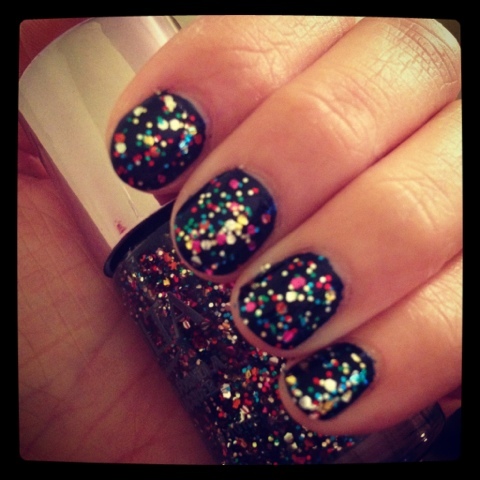 This is pretty, I have the Nicole by OPI in Rainbow in the S-Kylie and I love it over black! Does Seche Vite work well as a top coat? Does it dry fast?....looking for a good one thx! @ Leticia.. I <3 rainbow glitter too! @ AmandaLee.. 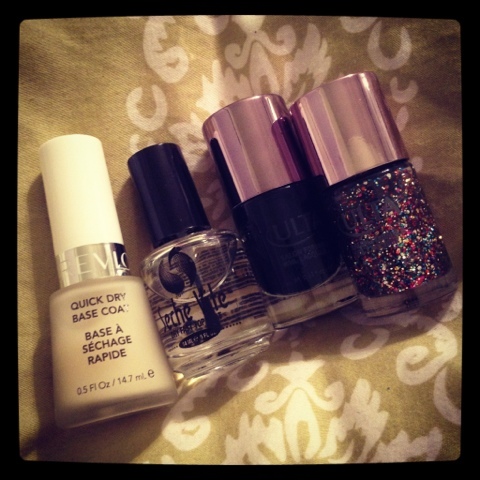 I love putting glitter over darker polishes too. For me personally, I like Seche Vite. I feel that it dries very quickly and "smoothes" everything out. My nails last about a week or so then begin to chip (but then again it depends what polish I'm wearing under too.) I'm not picky when it comes to nails so for me, it does the job. It's available at my drugstore and it's reasonably priced which is why I have it -but I'm sure there are others that might be better.